Just got an Instant Pot? Get started using it TODAY. I show you how to do the Instant Pot water test. It takes minutes and then you can get cooking! Since black Friday and cyber Monday many of you have received your new INSTANT POTS!!! Hooray! It’s a fun sight to see that box on your porch. But if you’re unfamiliar with the Instant Pot you might be a little intimidated on getting started. The first thing you need to do (after you take it out of the packaging) is perform the water test. This is just to make sure that everything is working normally. After you perform the water test you can get cooking. After you perform the Instant Pot water test I recommend these 10 Instant Pot recipes for beginners. I think you’ll really like your Instant Pot. It is a joy in my life. I can’t remember how to cook without it! Subscribe to my YouTube channel! Every Tuesday I bring you an Instant Pot recipe, tip or trick. Pour 3 cups of water in the Instant Pot inner pot. Set the STEAM button to 2 minutes (use the + and – buttons to adjust the time). The pot will take about 10 minutes to come to pressure and then it will start counting down the 2 minutes. Once the pot beeps after the 2 minutes is up move the valve to “venting.” Once all the steam is released remove the lid. 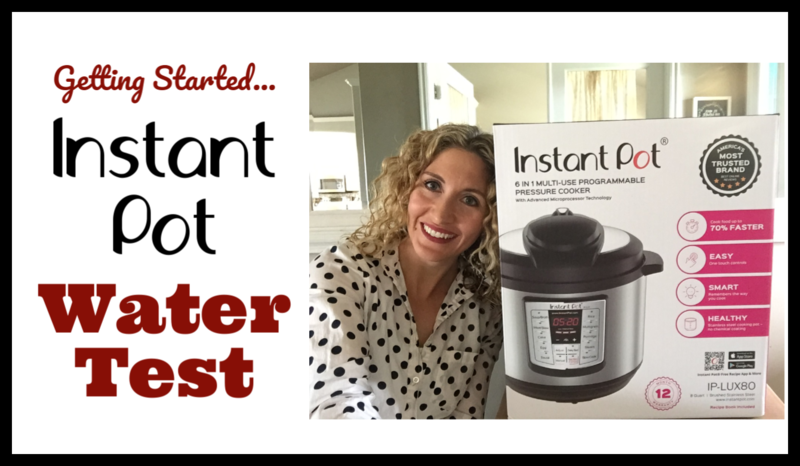 You are now ready to start using your Instant Pot! If anything seems to go wrong or if you are in doubt refer to this troubleshooting guide. You can also call customer service at 1-800-828-7280, extension 2. In this video I used an 8 quart Instant Pot Lux80. Other models of the Instant Pot will work the same way, or very similarly. I also own the 6 quart Instant Pot Duo 60 7 in 1*. Like this article about How to Do the Instant Pot Water Test? Get all my new recipes delivered to your email inbox by signing up below. 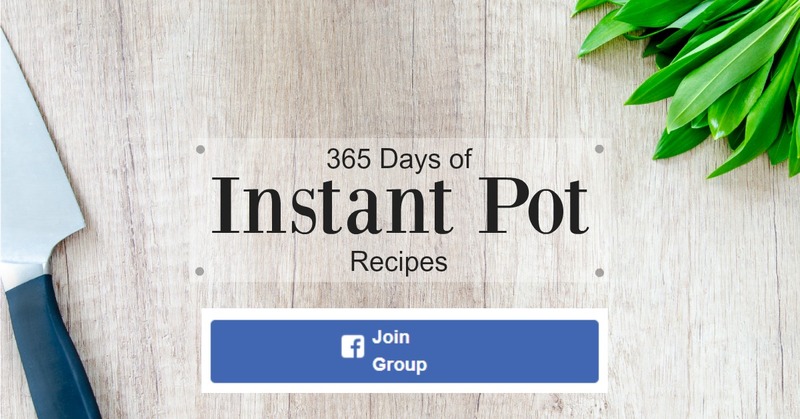 I’d love it if you would join the 365 Days of Instant Pot recipes Facebook group! Thank you so much for the heads up on the IP Super Sales. I bought 6 IP’s over Black Friday week-end. 1 8qt Ultra because I love mine so much; 2 qt duo’s (marked way down) originally as gifts for some students; Then…on Cyber Monday when you came out with the Super Sale on the one programmable from the phone… I bought 3 more! Think the students will enjoy those more so will give the original 2 to folks I normally give cash. I may keep one for myself as a backup since I use mine so much. We shall see. At any rate, will send all recipients this one blog to get started. Thank you for your time each day. I learn something every time I take time to read it.